An ankle fusion has long been an acceptable form of treatment for painful ankle arthritis. Surgeons have been performing ankle fusions with good results for decades. The operation is indicated for end-stage ankle arthritis that has failed other conservative treatment modalities such as activity modification, anti-inflammatories, and bracing. The procedure involves removing what remains of the damaged articular cartilage and then allowing the tibia and talus bones to fuse together thereby eliminating the painful arthritic ankle joint. Generally, internal hardware such as an intramedullary rod, a metal plate, or screws are used accomplish a successful fusion. The operation is reliable in relieving pain but will sacrifice any remaining ankle motion. The decrease in motion at the ankle joint is partly compensated for by motion in other joints of the foot. Many patients find an ankle fusion to be highly satisfactory in relieving their pain and do not miss the motion. In fact, in many cases ankle arthritis is so severe prior to surgery, that the patient already has little to no motion. An ankle fusion also provides a very stable platform for balance and walking and may actually improve gait. Ankle fusion surgery may be the best choice for patients with lifestyle factors that do not allow them to take care of an ankle replacement. Patients who are overweight, have had previous ankle joint infections, or have severe malalignment, may be better candidates for an ankle fusion rather than an ankle replacement. During your preoperative evaluation we will review your history and possibly any prior radiographs, MRIs, and CT scans. 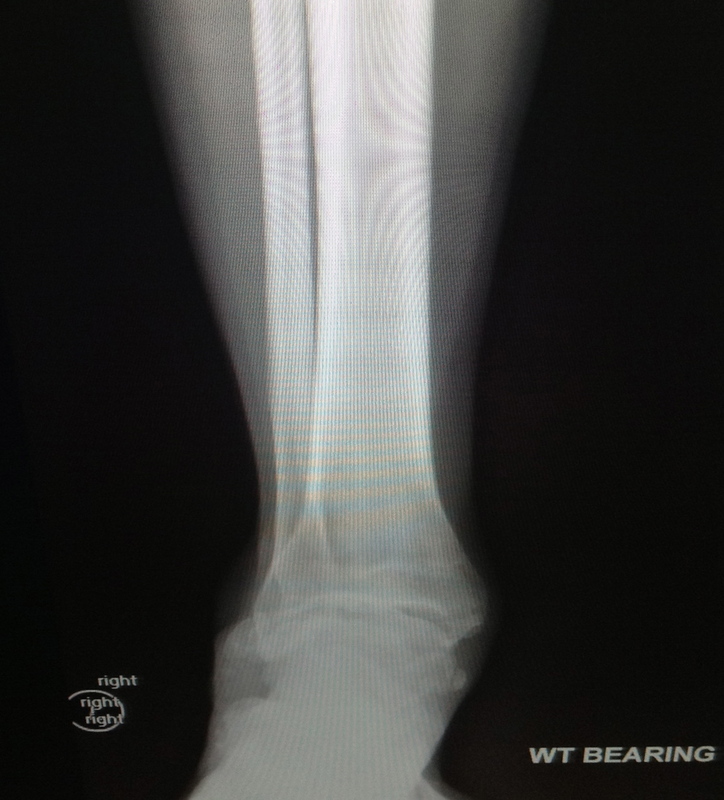 Even if you have existing radiographs, your visit will likely include new standing radiographs of your foot and ankle. We will answer any questions that you have regarding ankle fusion surgery and we will be happy to discuss any other alternatives of treatment including nonsurgical options. There are multiple methods that can be used for performing an ankle fusion and we can discuss which way would likely be best for you depending on your personal circumstances. Ankle fusion is performed in an operative suite with an anesthesia team and an orthopaedic surgery team. Sometimes additional procedures are performed simultaneously with an ankle fusion, such as removing previously placed hardware, or balancing the foot. Depending upon your age, medical conditions, how far you've traveled, and other factors, you may prefer to stay in the hospital overnight. You will receive nursing care on the floor from our highly skilled nurses. A physical therapist may also come to assist you in safely walking with crutches or a walker without putting weight on your operative leg. Much of the time immediately after surgery is spent resting and elevating the ankle to decrease swelling. We generally recommend you keep your leg elevated as much as possible during the first week. You will not be able to put weight on your ankle during the first 8 weeks and will need to use crutches, a walker, or a rolling knee scooter to mobilize. You will be discharged home in a splint and then we will see you in office to check your incision and place a cast. Typically, at 6-8 weeks following surgery, the cast is changed to a walking cast or walking boot. Patients wear the boot for about 6 weeks, and then they gradually transition back into a regular shoe around 3-4 months post surgery.